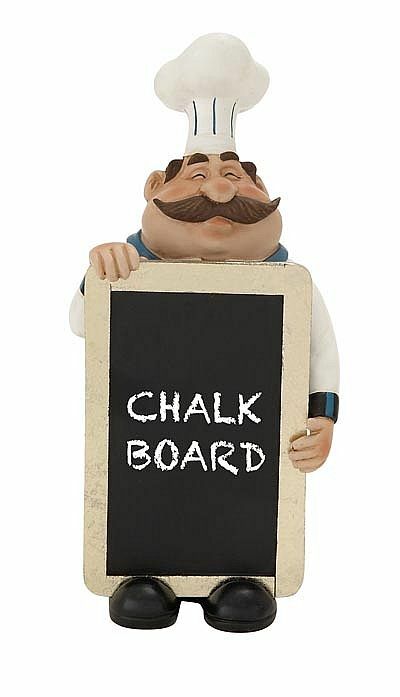 Our cute little chef guy stands proudly holdings out a small chef board to spell out the dish for the day at home. Created from resin, he adds a whimsical touch for the kitchen and also does nicely as a chef gift idea. Hand finished. Special Order: Normally ships in 3 weeks.